With three decades of experience in creating resplendent interiors of palaces and masterpieces in the Middle-East, Mr. P.N.C. Menon founded Sobha Limited (formerly Sobha Developers Ltd) in 1995 with a clear vision to transform the way people perceive quality. Today, Sobha, a Rs. 25 billion company, is one of the largest and only backward integrated real estate players in the country. Sobha’s superior execution capability is its core strength. Since inception, Sobha has completed 107 real estate projects and 273 contractual projects covering about 77.92 million square feet of area. The Company currently has ongoing residential projects aggregating to 38.70 million square feet of developable area and 27.34 million square feet of saleable area, and ongoing contractual projects aggregating to 7.88 million square feet under various stages of construction. The Company has a real estate presence in 9 cities, viz. Bangalore, Gurgaon, Chennai, Pune, Coimbatore, Thrissur, Calicut, Cochin and Mysore. 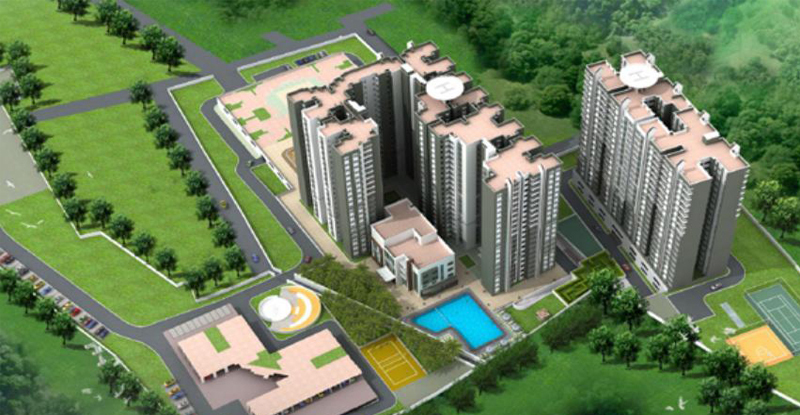 Overall, Sobha has footprint in 25 cities and 13 states across India. The backward integration model is one of the key competitive strengths of Sobha. This literally means that the Company has all the competencies and in-house resources to deliver a project from conceptualisation to completion. Backward integration includes an interiors division, a metal works and glazing factory, and a concrete products factory. Sobha has also diversified into retail business with spring mattresses under the brand name ‘Sobha Restoplus’. More than 27 variants of mattresses are produced by the mattress division using cutting-edge machinery of international quality. The Company has also set up Sobha Academy, a training centre that offers world-class training in building construction with state-of-the-art facilities. Sobha is a process driven organisation and is amongst the first companies in the industry to obtain the ISO 9001 certification. The company has also received the OHSAS 18001:2007 and ISO 14001:2004 certifications for Environmental, Health and Safety Management Systems. The Company believes that for the overall well-being of the society, a comprehensive and sustainable development of rural India is a must. It is in this context that Graamasobha, a unique social developmental programme was initiated by the Company in 2006. ‘Sri Kurumba Educational and Charitable Trust’ – the CSR arm of Sobha, initiated this unique social development initiative by adopting two grama panchayats in Palakkad – Vadakkenchery and Kizhakkenchery. Unlike the quintessential CSR programmes followed by corporates that focus on a single aspect of development, Graamasobha encompasses activities in the areas of education, health, employment requirements – a more holistic approach to improve the quality of life of the rural masses and to empower the beneficiaries to become self-sufficient. Some of the key social projects undertaken by the Trust are (a) Sobha Hermitage, a unique senior citizens’ and widows’ home with world-class amenities, (b) Sobha Health Care, a primary health centre with best-in-class facilities for medical treatment, (c) Sobha Academy, an exclusive educational institution for the underprivileged children, (d) Sobha Icon, another educational initiative to improve the standards of Government school students in higher classes, (e) Sobha rural women empowerment, (f) Sobha Vocational Training Centre which trains to develop skilled tradesmen from the economically weaker sections of the society, (g) Sobha’s support to “Mission: Zero Landless Kerala” by proposing to donating 3 cents of land each to 50 landless people and (h) social rehabilitation scheme for the people of the two backward panchayats. Sobha has been honoured with over 160 prestigious awards by various institutions of repute. In 2014, Sobha was honoured by the World Economic Forum as a Global Growth Company. It is the only real estate company from India and is one among the three listed entities out of the 17 companies to have been honoured. The other awards include ‘Best Luxury Residential Developer in Bangalore’ at ALREN – Indian Luxury Real Estate Awards 2016, ‘CSR Award’ by CREDAI in 2015, ‘Award of Excellence’ at the 10th Construction World Architect and Builder Awards (CWAB) in 2015; the ‘Real Estate Company of the Year’ by Construction Week in 2014; the ‘Developer of the Year – Residential (for Sobha Eternia) by Realty Plus in 2014; the ‘Mint-Institute for Competitiveness (IFC) Strategy’ award (under the aegis of the Porter Prize) in 2014; ‘Builder of the Year’ award in 2013 and the ‘Most Reliable Builder Award’ in 2012 by CNBC; ‘Achievement Award for Best Professionally Managed Company’ and ‘Achievement Award for Social Development and Impact – Sri Kurumba Trust’ at 6th CIDC Vishwakarma Awards 2013; ‘Top Indian Real Estate Company’ by Dun & Bradstreet in 2014; ‘India’s Top 10 Builders Award’ by Construction World in 2013; ‘Best Annual Report in Real Estate Worldwide’ by LACP in 2013; ‘Muthiah Kasi Award for Value Engineering’ by INVEST in 2013; ‘Best Office Space Design’ by GIREM in 2012; and ‘Employer of the Year Award’ by Realty Plus in 2012, amongst many others. Multiple laurels have also been showered on the founder and Chairman Emeritus, Mr. P.N.C. Menon which include the ‘Brand Icons – Excellence in Business (EIB) Award for Corporate Social Responsibility’ by Times of India, ‘Golden Peacock Lifetime Achievement Award for Business Leadership’ by the Institute of Directors (IOD) in 2014, the ‘Lifetime Achievement Award for Real Estate’ by NDTV in 2013 and the ‘Pravasi Bharatiya Samman Puraskar’ conferred by the Government of India in 2009. Mr. Ravi Menon, Chairman, was honoured with the ‘Young Entrepreneur of the Year’ by Construction Week, ‘EY Entrepreneur of the Year – Real Estate, Energy & Infrastructure’ by EY in 2014 and ‘Pathfinders Award for Most Enterprising CXO’ by Realty Plus in 2013. The Vice Chairman & Managing Director, Mr. J.C. Sharma, was voted ‘Asia’s Best Property CEO’ by Institutional Investor Magazine for two years in succession. The Company’s Chairman, Mr Ravi Menon was conferred with the ‘Young Entrepreneur of the Year’ by Construction Week during this FY 2014-15 & Mr J.C. Sharma, Vice Chairman and Managing Director was awarded the ‘Best CEO in Real Estate’ at the NDTV Property Awards. Sobha is an organisation that is highly focused on delivering international quality products in a timely manner with utmost perfection.